Meal 4 Meal is O’Learys program in Sweden, Norway, Denmark and Finland that in cooperation with the United Nations Association of Sweden contributes to school meals in Ethiopia. Together we have contributed to over 2 million school meals. When you order one of our campaign dishes, O’Learys Trademark and the restaurant make matching contributions for one school meal each to the Meal 4 Meal program. 1 Campaign dish = 2 school meals. Children’s health improves. More children get an education. Gender equality is increasing as more girls stay in school. Education creates development in the society. Development ends poverty. When you order one of our campaign dishes, you will not only have a well tasting meal. You will also see to that a child in an exposed environment gets food, education and a brighter future! 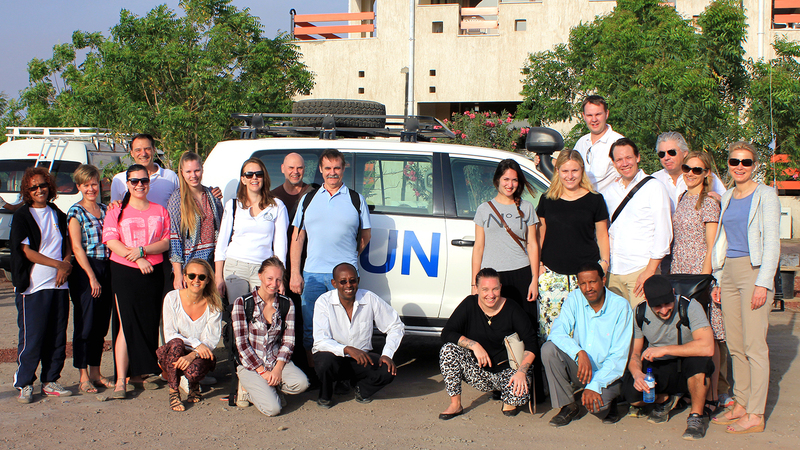 Co-workers from O'Learys restaurants and UNA Sweden on one of our trips to Ethiopia 2015. - Meal 4 Meal is important because it creates so many positive effects, and it is so much more than just food. Towards a brighter future! - Every time a guest chooses one of our campaign dishes, I know that a child receives a school meal. It’s an amazing feeling to make a difference! - It is important to do good things and give back to those in need. Our guests are happy that they can help children this way.